On Monday K and I had the inevitable annual farewell of my Dad and his wife before they made their way back to their 40 foot sailboat in the Caribbean to finish out the winter, as they have been doing since 2005. (If you’d like to follow their journey you can see their blog at BoldlyGo.Us) It will likely not be until next fall before they come back to visit family in the states again and stay through the holidays. It is always hard to see them go and once they are gone I feel like I’ve hardly had a chance to see them, even though they were here for 4 and half months. So in their honor on their last night in Utah K and I had them over for dinner. And I must say that it was a smashing success! Knowing my dad as I do I considered many Mexican options -tacos, enchiladas, tortilla soup. But I also knew that he indulges in his favorite fare often while he is here. So while flipping through my many many recipe books I knew immediately when I came across it that I had to make the Italian Meatball Burgers. Think grilled meatloaf with Italian twist. It is served on a roll, with marinara sauce and melted provolone. Yum! As a side I decided on a simple green salad with Asiago cheese, tomatoes and avocado and a creamy vinaigrette, and a Trader Joe’s (seasonal) favorite of harvest root vegetables. Julienne turnips, carrots, beets and sweet potato – a twist on french fries. 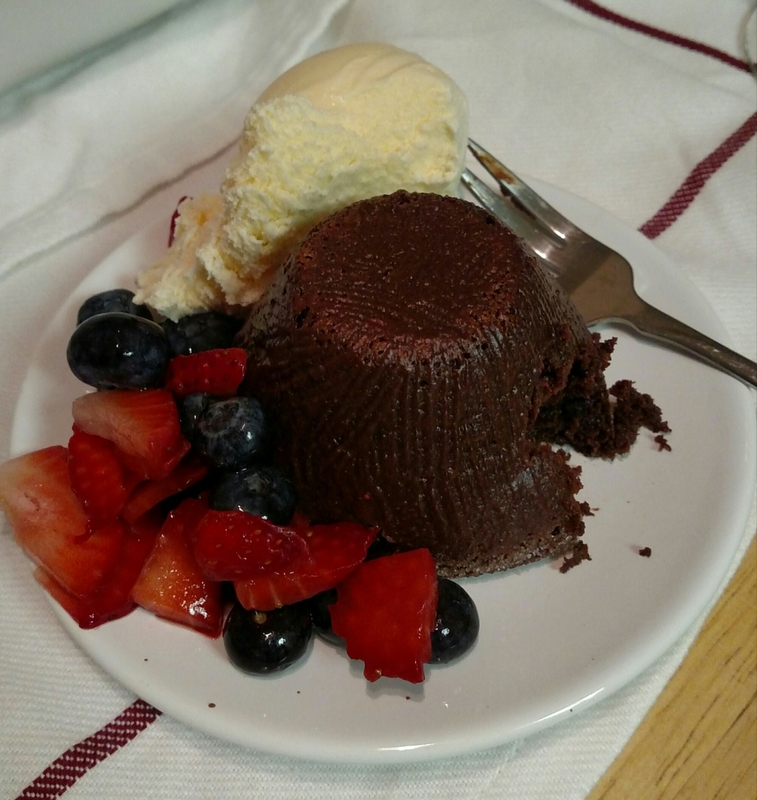 I served an antipasto tray of olives, peppers, artichoke hearts and zucchini to start and ended with mini chocolate cakes, fresh berries and ice cream. Remember mention of my new gas range? This was my first big meal cooked on it since it was installed and it worked like a dream. So not only was it a farewell dinner, but a thank you dinner to my dad for installing the gas line and hooking up the new range. Thanks again Dad. 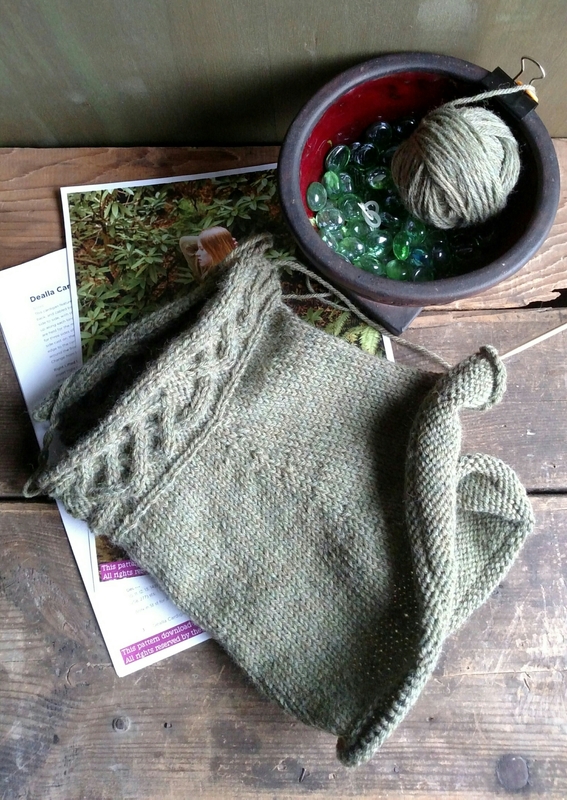 As for the knitting – I was ever so grateful to have it this week to turn to after a few tough days at work. I don’t normally ‘take my work home with me’ but a few times this week were mentally draining. Turning to knitting patterns, repetitiveness with just enough pattern change to keep my mind focused , was just the ticket. And I made some good progress on the cardigan. I’m ready to cast off the bottom hem and then pick up the stitches to work my way up from the waistline. We have another rainy weekend here and no big plans so I’ll expect to have a bit more to show by the start of the week. Next Post Dye Lots, Die!